The idea of creating the Association was born in the philosophy department of SUSU (Chelyabinsk) only in 2017. But the ideas of philosophical practice penetrated into Russia much earlier. The first of the famous philosophical practitioners who crossed the borders of Russia was Oscar Brenifier (France). In 2010 Larisa Retyunskih invited him to the symposium “Children-philosophers” (Moscow State University). Approximately at the same time it was the ideas of philosophical counseling that began to penetrate from Moscow into the interior of the country. So, they got to Volgograd, to the Department of Philosophy at Volgograd State University, where Andrei Makarov and his team actively supported them and continue today in their original format (the project “Intellectual Environments“). Today one of the leading philosophical practitioners in Russia is Victoria Chernenko, who implements philosophical counseling for individual and group work with adults and children. Since 2015 philosophers from the glorious city of Chelyabinsk are actively moving into the movement of philosophical practice. Sergei Borisov was the first to take an active part in the groups on philosophical companionship, organized on-line by Ran Lahav (the USA). 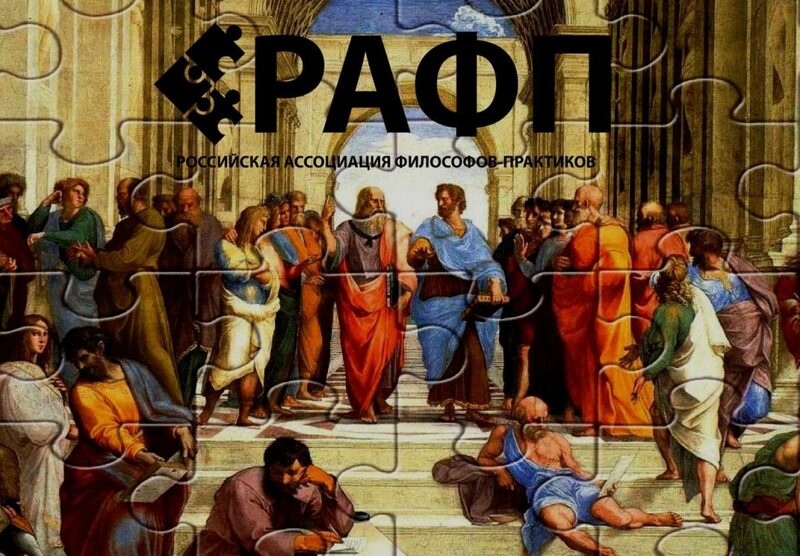 In 2016 Sergei Borisov on the basis of the Department of Philosophy at SUSU, initiated the first Russian on-line conference with international participation in understanding the essence of philosophical practice and the prospects for its implementation in Russian philosophy. In general, 2016 became very fruitful for the trips of philosophers from Chelyabinsk to the “places” of philosophical practice. In July – Sergey Borisov took part in the international conference on philosophical practice (14th ICPP), held in Bern (Switzerland). Artur Dydrov, Kirill Rezvushkin and Regina Penner participated in the summer school on philosophical counseling, conducted according to the method of Oscar Brenfier in France. 2017 became productive in the sense that not only philosophers from Russia continued their scientific trips abroad (international retreats on contemplative philosophical companionship in Italy and Holland, on deep philosophy in Italy), but eminent philosophical practitioners continued their mastery of the Russian space. So, Ran Lahav visited Russia twice during 2017 and get acquainted with the philosophical audience from St. Petersburg, Yekaterinburg and Chelyabinsk. And Oscar Brenifier specially arrived at the scientific and methodological seminar on philosophical practice and on the scientific school on practical philosophy, organized and conducted by SUSU and VolGU respectively in the Crimea. Today, philosophical practitioners from Russia continue their movement inside and outside our homeland. But not only to build up their knowledge, but also, for the presentation of experience and some results. So, in the summer of 2018, Sergei Borisov, Artur Dydrov, Kirill Rezvushkin and Regina Penner are going to present RAPP in Mexico, Mexico City (15th ICPP) and in China, Beijing (The XXIV World Congress of Philosophy).